Retired aerospace engineer, William Tompkins, has just given his most detailed account yet about the operations of secret space programs on the September 27 episode of Cosmic Disclosure. Many of Tompkins’ revelations corroborate the earlier testimony of the show’s primary whistleblower, Corey Goode, who first publicly came forward in late 2014. After the War, Tompkins became directly involved in the development of a U.S. Navy secret space program called “Solar Warden,” where he provided the early draft designs for kilometers long spacecraft and non-terrestrial bases, while working at the Douglas Aircraft Company from 1951 to 1963. Solar Warden, according to Tompkins, became operational in the early 1980s. 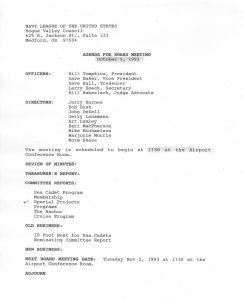 Tompkins’s role in these space programs is supported by a number of documents provided in Selected by Extraterrestrials, and others provided in a March 2016 interview. In addition, FOIA documents have just been made available (to be described in an upcoming article), which confirm key details about Tompkins involvement in a Navy led espionage program aimed at infiltration of Nazi antigravity research projects during World War II. Tompkins’ revelations about the current operations of secret space programs derive from two periods in his life. First is his time at the helm of the Rogue Valley (Medford), Oregon chapter of the U.S. Navy League from 1985 to 1999. 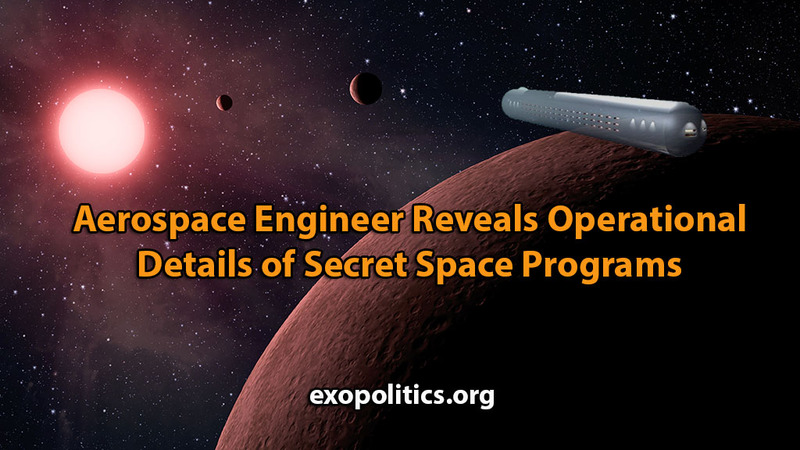 During this period, he was given briefings about operations of secret space programs and extraterrestrial life, and shared some of this information through a “Special Projects Committee”; with retired Navy, Marine and USAF officers and their children. Corroboration for Tompkins’ statements about the Navy League Special Projects Committee comes both from related documents and two retired Navy officers who confirmed key aspects of his testimony. 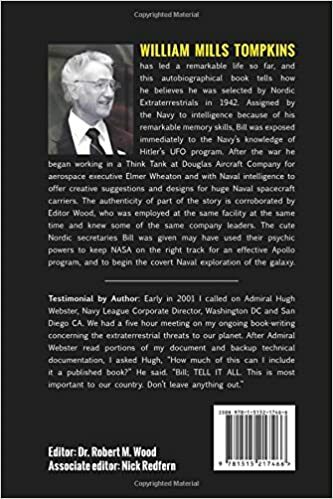 Furthermore, Tompkins says that Admiral Hugh Webster, who ran the U.S. Navy League chapter in San Diego and was an executive officer for it nationally, was initially briefed about the Navy’s secret space program by Tompkins in 1985. Webster subsequently began a similar operation in San Diego, and became part of the Navy’s covert operations. Tompkins says that he has attended all of these Navy West meetings since the year 2000, and plans to attend again in 2017 because he still has clearance to be present at classified meetings. Tompkins is currently 93, with a sharp mind, excellent memory and still physically healthy. It would be fair to say that he is considered to be a “wise elder” among those running current operations with the Navy’s secret space program. Given Tompkins’ background, and continuing involvement with the Navy’s Solar Warden program, his statements about its current operations bear special significance. These are some of the highlights of what he revealed during his Gaia TV interview. Thousands, thousands, not just a few, thousands of people have joined the Navy here in the United States. They joined the Space Navy. They signed up for a 20-year tour. So these folks, men and women, were given a lot of examinations and a lot of information on what they were going to need. Many of them went to the Moon, our Moon, and facilities there and got checked out and organized and established where is the best place they’re going to go, what their criteria is going to be, what major area they’re going to develop, like what class in the university. And then they get sent to a Mars facility for a short time. Tompkins’ comments here are especially noteworthy. They corroborate the testimony of Goode, who asserted that there are thousands of personnel involved in the Navy’s secret space program. 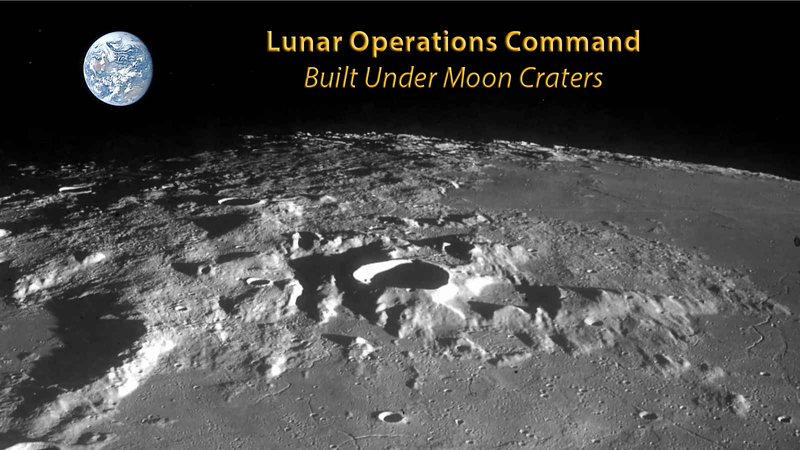 He and another alleged whistleblower, Randy Cramer, spoke of an operations center on the Moon called Lunar Operations Command, and both claim they were taken there in 1987 for their formal inductions. And then they get assigned to a specific base. And they work for a short time in the base before they’re assigned a naval cruiser, or a naval attack vehicle, or even a naval spacecraft carrier, which are one, two, and four kilometer long class. And we have eight of those battle groups out there. So there’s plenty of room for new people to come aboard…. The above statement corroborates what Goode claims he underwent after his induction at Lunar Operations Center. He was assigned to the research vessel, the Arnold Sommerfeld, where he spent six years performing a number of science and exploratory missions in the solar system. So at the end of the 20 years, they have an option for another 20 years. They could go for another 20 years. Or they have the option to come back to Earth where they were born and where they entered the Navy. And then they make this decision they want to come back. So they age regress. They’re now 20 years older than when they joined the Space Navy, okay? And so they take several weeks or several months, and they reverse their age back to 21 when they joined the Navy…. And now, during that several weeks returning, their minds, not painfully, but their minds are played with to where 90.99 [likely meant to say 99.99 percent] of their memory for the last 20 years out in space is removed. 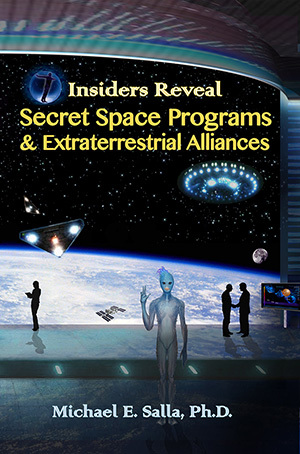 In the book, Insiders Reveal Secret Space Programs and Extraterrestrial Alliances, a chapter is devoted to a comparative study of the testimonies of Goode, Cramer and Relfe. 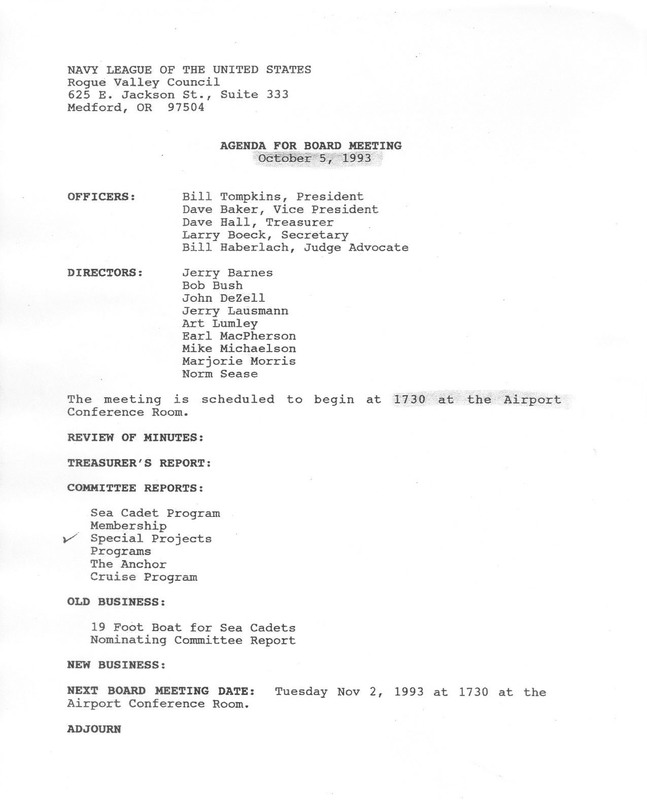 Tompkins’ testimony adds a significant level of credibility to what each of these individuals had to say about how they were treated at the end of their secret space program 20 year tours of duty. But the corporations, at the same time they were doing the military mission programs, they were doing other programs which could possibly allow them to nullify the space programs of the military, like Solar Warden. And these people, then, utilizing all the advances in space systems, military wise, developed the capability to move off the planet and mine materials on other planets in the solar system and/or continue on out into the galaxy through the 12 closest stars, Alpha Centauri being the first, and mining or extracting materials, or whatever, and making money. This same group of top corporate people of all these companies that are doing the jobs, that they are getting paid for, were paralleling the space missions for industrialization – making money… We’ve got corporate operations operating parallel to missions to solar system planets and other stars’ planets, doing the same thing. Tompkins testimony here corroborates what Goode revealed in early 2015; that there is a corporate run space program he called the Interplanetary Corporate Conglomerate. Previously, in April 2014, Cramer claims he was assigned to a Mars military base from 1987 to 2004, to protect five corporate run colonies there he described as the Mars Colony Corporation. Similarly, Relfe says that during his time on Mars, from 1976 to 1996, he was part of a military operation to protect Mars colonies. 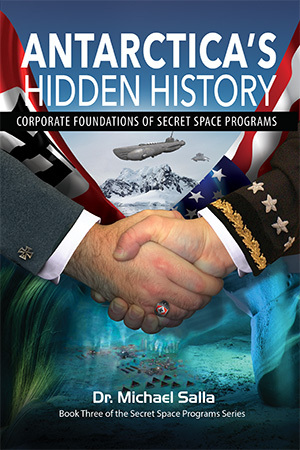 Bill Tompkins’ detailed knowledge of current operations of the Navy’s secret space program, a corporate run program, and his willingness to now relate this information is a significant development for all who have been closely following his testimony. It is a major scoop for Cosmic Disclosure that Tompkins chose to reveal his knowledge there first, and it certainly helps substantiate the earlier testimony of Goode and others concerning Solar Warden and parallel secret space program operations. 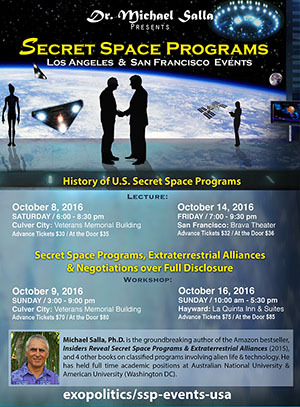 Announcement: Documents and whistleblowers revealing the creation of antigravity spacecraft belonging U.S. secret space programs, with special reference to the testimony of William Tompkins, will be presented in upcoming lectures and workshops in Los Angeles (Oct 8-9) and San Francisco (Oct 14 & 16) by best-selling Amazon.com author Dr Michael Salla. More info here.